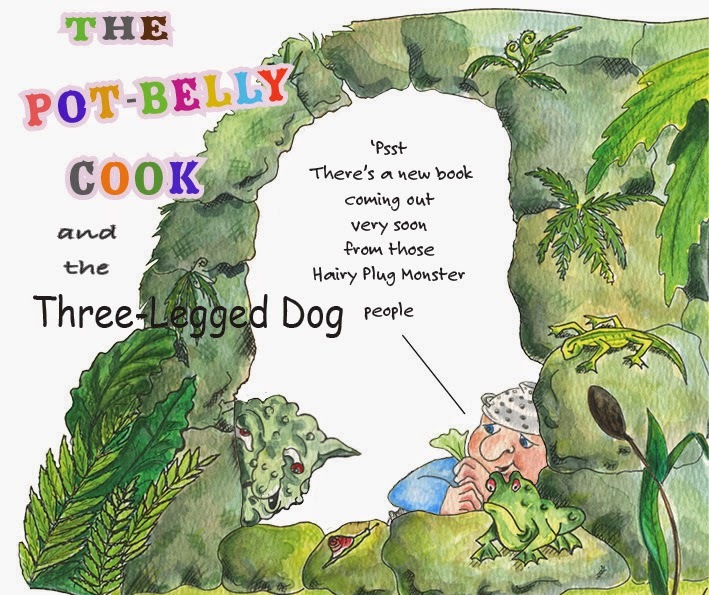 It's taken a long time but I am pleased to say that The Pot-Belly Cook and The Three-Legged Dog is finally ready to go to print and it's left me a little bit lost for what to do next? My writing skills have become very rusty after spending the best part of a year bringing the book to life, navigating my way around new software and sorting out major hardware difficulties and this has resulted in virtually no new material to start work on and dithering over each sentence I write. Which is why it has taken over a month to update the blog. Admittedly I have been distracted by the World Cup, the long bouts of sunshine (very rare for Manchester U.K.), summer walks and have even given up meat and smoking in the process. My dad gave me a bike and on the rare occasion I have even cycled to work. At the moment I feel pretty good about everything, have a relaxed positive outlook on the future and have even lost a few kg in the process. Naturally being this calm, just wont do - and since finishing the book I have thrown myself into Flash Professional CC6 just to remind me how insignificant in the world of writing I really am. It's early days in the animation and game design stakes and I have absolutely no idea how long Flash is going to take to get my head round, but be on the lookout for a upmarket makeover for our woeful website in the near future. I am working towards a September publishing date and between now and then need to get as much exposure for the book as possible. "Buy my book - it's brilliant!, and while you're it buy my other one as well", and then people would buy one and then go and tell everyone they know to do the same and the process would continue infinitely. In reality though it's writing blogs like this one and sending them out into the world.